Probiotics are recommended for a variety of purposes including general well-being. Certain foods and probiotic supplements contain "good" or "helpful" bacteria, the kind that reside in your digestive tract. Integrative physician Dr. Andrew Weil says that they help you digest food and may even help your immune system. Probiotics may be helpful for constipation, but keep in mind that if you choose a dietary supplement, it is not the same as a medication, which goes through a rigorous approval process by the U.S. Food & Drug Administration. Probiotic supplements cannot purport to treat or cure any specific medical condition. The National Center for Complementary and Alternative Medicine states that the definition of "probiotics" is still a matter of debate; however, a commonly-accepted definition used by the World Health Organization and the Food and Agriculture Organization of the United Nations is that they are live microorganisms–bacteria, yeasts and viruses–that are beneficial to your health if taken at the right dosage or amount. Probiotics are gaining popularity, says NCCAM, which points out that the amount of money people spent on supplements alone tripled between the years 1994 and 2003. The good bacteria in probiotic supplements occurs naturally in certain food sources, says Weil. These may include cultured dairy products like yogurt, kefir and acidophilus milk, but also foods like sauerkraut, pickles, tempeh, miso and soy drinks. However, the friendly bacteria in these foods often isn't enough to be beneficial to you, Weil says. Probiotic supplements are widely available in capsules, tablets, powders and liquids. 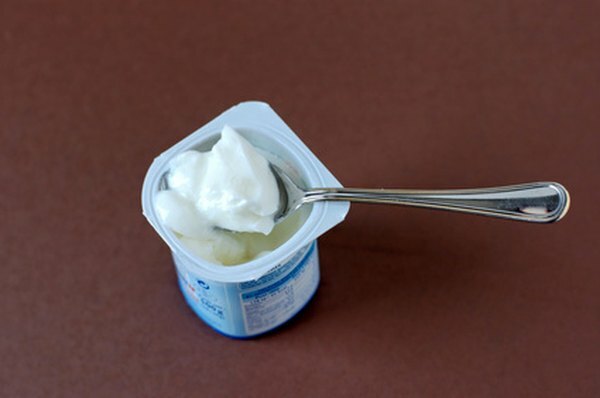 Probiotics make for healthy intestines, says the University of Maryland Medical Center. Studies that investigated Lactobacillus, Bifidobacteria and Sacchromyces boulardi–three common probiotics–for constipation yielded conflicting results. A study among elderly participants indicated that yogurt coupled with prunes and linseed was beneficial for mild constipation. A pilot study published in the August 2007 edition of the Nutrition Journal by the Academic Medical Centre in Amsterdam suggests that a "mixture of probiotics has positive effects on symptoms of constipation" in children. NCCAM states that evidence tends to support probiotics for the opposite problem: infectious diarrhea. They also show great promise for irritable bowel syndrome and inflammatory bowel disease. The number and quality of bowel movements varies from one person to another, says the UMMC. You may have a bowel movement once a day or only three times a week. Constipation is often improved by adding more fiber to your diet. However, if you're still constipated after you change your diet, or you experience bloody stool, stomach or rectal pain, weight loss or constipation that alternates with diarrhea, please talk to your doctor. Dr. Andrew Weil: What's the Purpose of Probiotics?